If you are ever called for jury duty, the lawyers will say that they are looking for jurors who will be impartial. They’re lying. Any trial lawyer worth his salt wants jurors who will favor his client. The jury system works when each lawyer is able to “strike” the jurors who would seem to favor the other litigant. Each lawyer can “challenge” and eliminate any and all jurors who admit that they are predisposed to favor the other side. But what about the jurors who say they will be fair but harbor sympathies for one side or another? 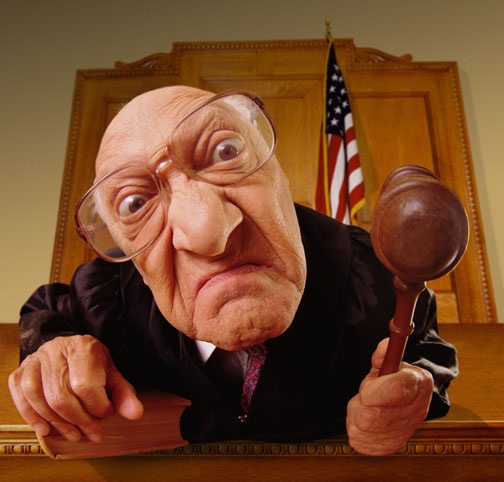 Luckily, each lawyer has a certain number (usually three) of “peremptory challenges” which may be exercised to remove a juror who the lawyer believes may harbor secret or latent sympathies for the other litigant – or worse, hate your client. 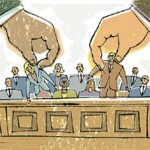 Sorting the jurors who favor your client from the ones who won’t is a tricky business. 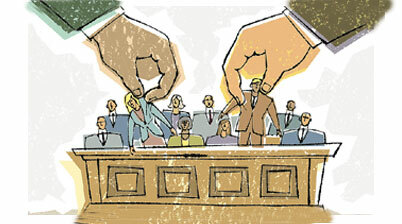 Historically, attorneys select jurors based on intuition and formulaic profile. Some lawyers hire jury consultants to render expert insight into human behavior. But looking for jurors who will “like” your client is more of an art form than a science project. Most people harbor prejudices of one type or another. These are not always nefarious and many come from innocent practical experience. Juror “number one” might like cab drivers because she’s married to one. Juror “number two” – who’s actually ridden in a cab – might think that cab drivers are inherently reckless. Oops . . . there I’ve divulged one of my biases. The problem with jury selection is that the average person doesn’t like to admit that he or she may be prejudiced, especially when challenged by a lawyer in front of the other members of the jury panel. “Mrs. Smith,” the lawyer might ask “I know that your son was killed by a cab driver driving on the sidewalk in Manhattan, but won’t you will be fair to my client?” In truth, it’s not that Mrs. Smith won’t be fair; she can’t be fair. And that’s understandable. As far as I know there was only one Mother Theresa and she’s dead and won’t be in the jury pool. The only way that a juror may truly be fair is to recognize and admit his or her inclinations. It’s illegal to racially profile jurors, as the United States Supreme Court outlawed this practice in the case of Batson v. Kentucky,476 U.S. 79 (1986). Mr. Batson was a black man who was convicted of burglary. During voire dire (jury selection), the prosecutor peremptorily challenged all four black people on the jury panel. Batson’s conviction was overturned on appeal because his jury was exclusively composed of white people. The stated reasoning behind the Court’s decision was that a man is entitled to be tried by a jury which represents a cross section of his community. Of course, the Court’s unstated conclusion was that a black man charged with burglary in Kentucky doesn’t have a puncher’s chance to be acquitted by twelve white people. In reality, the Batson jurors may have been fair-minded, color-blind people and Mr. Batson may have been caught red-handed. It’s just that the case didn’t pass the “smell test.” Yet in making its decision the Supreme Court Justices expressed their own prejudices against white southerners. Why did they do so? Because guaranteeing a fair trial for Batson was more important than offending the sensibilities of the jurors whose liberty was not in issue. Since Batson, courts have extended the prohibition against profiling to include gender-based jury challenges but the courts have expressed no opinion about other types of profiling. In fact, racial and sexual profiling continues to be an acknowledged, if sub rosa, jury selection technique. An injured plaintiff typically wants a jury composed of liberal-minded, soft-hearted, generous, empathetic people. Defendants typically prefer conservative, unemotional, and financially prudent people. The risk in stereotyping is that people are not always who they seem to be. So it’s important to get a feel for the person behind his or her job, race, color, address or educational background. Therein lies the rub and it’s most important to ask questions of the juror which will provide insight as to their character, thought processes and personal experiences.